Tomatoes is an open source for Tomatoes – a Pomodoro Technique® driven time tracker. timecop is a gem providing ‘time travel’ and ‘time freezing’ capabilities, making it simple to test time-dependent code. It provides a unified method to mock Time.now, Date.today, and DateTime.now in a single call. 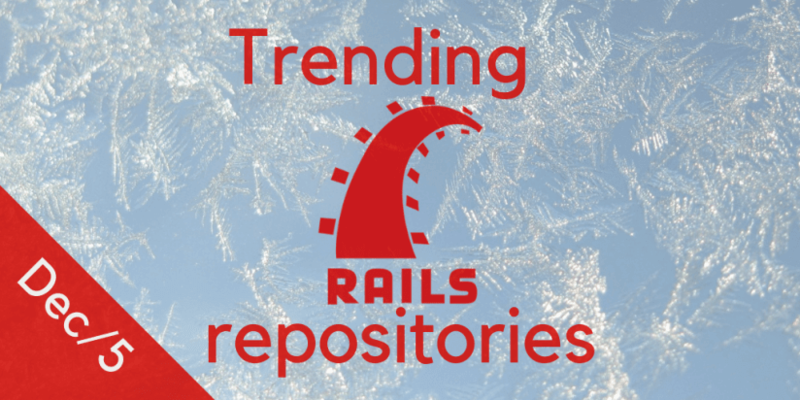 Find our previous issues about the most popular Rails repositories here. Also, subscribe to our weekly newsletter to find more interesting stuff!